Earlier this week, the White House issued a highly unusual statement calling on the Justice Department and the Office of the Director of National Intelligence to initiate the declassification of selective portions of the FBI’s June 2017 application to monitor former Trump foreign policy aide Carter Page under the Foreign Intelligence Surveillance Act, signed by Deputy Attorney General Rod Rosenstein. In July, the FBI released heavily redacted versions of the initial October 2016 FISA warrant on Page and three subsequent renewals. But Monday’s directive from the White House also called for declassifying “all FBI reports of interviews” prepared in connection with the FISA applications — which are generally highly classified materials and potentially contain information from foreign intelligence sources. While the White House’s statement cited requests from “a number of committees of Congress,” the decision to publicly release the records prompted an outcry that the President was potentially jeopardizing critical intelligence sources and politicizing sensitive materials — in the midst of a criminal investigation into ties between his campaign associates and Russia — to score political points. In an interview with The Hill, he said he had not read the materials he ordered declassified, but “many people in Congress” and “commentators” on Fox News, including Hannity, had called on him to release the records. “They used Carter Page as a foil in order to surveil a candidate for the presidency of the United States,” Trump said to The Hill. 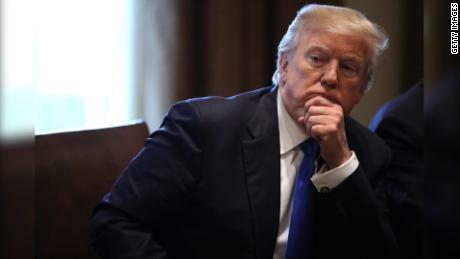 The central theory propounded by the President and his allies has been that the FBI used intelligence gathered from former British intelligence agent Christopher Steele in the FISA application, misled the court about how Steele’s dossier had been funded through a law firm by the Democratic National Committee and the Hillary Clinton campaign, and did not disclose his bias against Trump. The redacted versions of the FISA applications publicly available show the FBI did disclose a political motivation behind the Steele dossier and said the person behind it was likely looking for information to discredit Trump’s campaign.